Merrell Fankhauser‘s name is not as well-known as some others from the rock era, but he’s been an important force in the development of both surf and psychedelia. Outside of record-collecting circles, Fankhauser’s name is recognized thanks to an excellent profile/interview in Richie Unterberger‘s 1998 book Unknown Legends of Rock’n’Roll. But thanks to a clutch of reissues and compilations, Fankhauser’s output is now readily available for modern-day audiences. 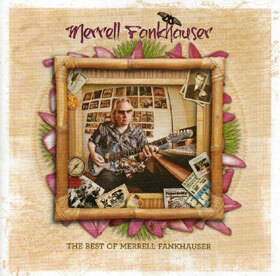 In 2012, a two-volume set of episodes of his public-access-channel TV show Tiki Lounge was released on DVD, and concurrent with that release, a 2CD set entitled The Best of Merrell Fankhauser came out. That set surveys all of his work from 1963 to the present. Fapardokly’s “Super Market” (a highlight of the bonus various-artists CD packaged with Unterberger’s first book) is easily in the same league as Love‘s similarly-flavored “Alone Again Or,” a light classic from the so-called Summer of Love. (“I never heard that [comparison],” claims Fankhauser.) Yet none of Fankhauser’s music really shifted big units, never caught on in a major commercial way, despite its quality and accessibility. The Exiles singles – released on the tiny Glen records – sold a bit, as the label put them out. 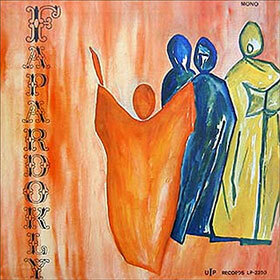 In 1967, Glen collected an album’s worth of what Merrell calls “random songs from 1964 to 1967” and released them using the group’s then-current “psychedelic” name, Fapardokly. But Glen’s limited distribution kept the record from getting notice beyond the region. As an aside – and going backward briefly in our chronology – Merrell claims that his earliest surf-styled Exiles recordings for the Del-Fi label – including a track called “Wipe Out,” which he insists formed the basis for the Surfaris hit of the same name – sold “a million copies” but he’s never seen any appreciable income from those sides. HMS Bounty’s “Things” did crack the Billboard Hot 100 around 1968. “We watched our songs going up the charts, and thought, ‘This is great.’ The album was selling, so we moved down to L.A., where we did big concerts opening for CTA [later Chicago], Canned Heat and The Electric Flag.” But then HMS Bounty’s label, Uni, put its promotional efforts elsewhere: “They signed Neil Diamond, who already had one little hit on the Bang label. As soon as they signed him,” Merrell recalls, “we watched the promotion pull away from us.” That spelled the end of that band. Merrell went on to do a few sessions backed by Jim Gordon, Al Casey, Carol Kaye, Larry Knechtel and other highly-regarded luminaries of the sixties music scene. After his time with Uni was up, Fankhauser jammed with old friend Jeff Cotton (then still with Beefheart’s Magic Band), who took him aside one day and said, “I’d really like to get out of this crazy house and play with you instead.” So the pair – plus two former Exiles – formed MU. As time went by, Fankhauser’s reputation grew in stature (if not size), and counted among his fans were some influential media types. Elliott Mintz and others suggested Merrell host his own television program. 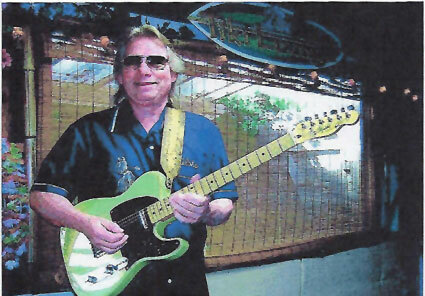 And Merrell had an untrained but natural affinity for the behind-the-scenes machinations of TV production: “I was always the guy in the studio who was asking the engineer about how he got this or that sound, and I felt the same way about TV.” He conducted some interviews with fellow musicians while he lived on Maui, and guested on some TV shows there. By 1990 these efforts led Fankhauser – by then back on the mainland – to create his own satellite TV show, California Music. After sponsorship was secured, Merrell started rounding up guests. “I put the word out to all my old friends. I got Dean Torrance and Mike Love and a whole bunch of other people. Everybody started coming out of the woodwork; even Sky Saxon!” He also got to interview (and play with, as documented on a Tiki Lounge DVD) legendary keyboardist-to-the-stars, Nicky Hopkins. 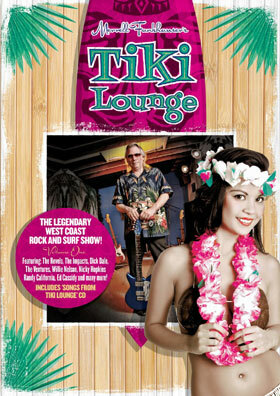 In fact, Merrell’s later show Tiki Lounge often draws on vintage clips from the earlier program. A seven-year musical project concerning what Merrell describes (with a straight face) as the Lost Continent of Mu kept him busy; the resulting record Return to MU has also recently been reissued. Gigging both in the USA and Hawaii with some heavy friends (including, oddly enough, a Stratocaster-slinging Willie Nelson!) Merrell eventually found himself “too busy for TV.” But fans within the business encouraged him to get back in the game, and so Tiki Lounge was born. “I’m up to almost ninety shows now,” says a justly-proud Fankhauser.